Speaking to an anti-immigrant organization on Saturday, former presidential adviser Steve Bannon said that if Republican Ed Gillespie wins Virginia’s gubernatorial race on Tuesday, it will be “because of the underlying message of Corey Stewart,” the Confederate-memorial-loving, fiercely anti-immigrant Prince William County supervisor who lost his bid for the state’s Republican gubernatorial nomination this year. 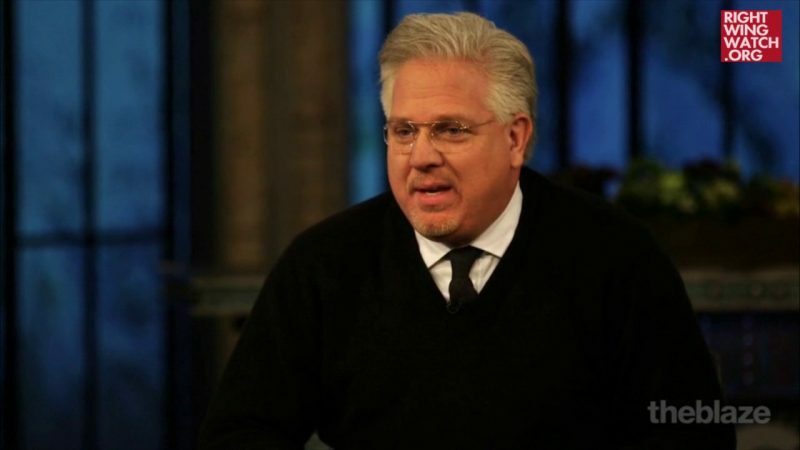 “If Gillespie, who’s a Bush guy, if he wins—and I do believe that he’s going to win, he’s going to pull this thing out—it’s because of the underlying message of Corey Stewart and what he believes in and the Trump voters in Virginia that are going to turn out,” Bannon said. Bannon speaks in front of the “Stolen Lives Quilt.” Screenshot of live stream via Breitbart News. Gillespie has indeed been embracing Trump/Stewart messaging, closing out his campaign with ads about Confederate monuments and demonizing immigrants. 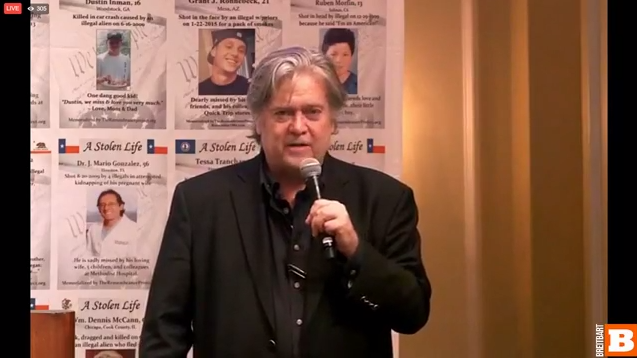 Bannon and Stewart both spoke at a $250-per-plate luncheon on Saturday at the annual conference of the Remembrance Project, a group that says it provides a “voice for victims killed by illegal aliens” in part by traveling the country with its “Stolen Lives Quilt,” an AIDS quilt-inspired memorial to American citizens who have been killed by undocumented immigrants. Studies have shown that immigrants are less likely to commit crimes than native-born Americans, but the Remembrance Project lifts up the stories of people who have been killed by undocumented people in order to paint immigrants as a whole as sinister and dangerous. Many of the cases that the Remembrance Project highlights involve vehicular manslaughter or vehicular homicide. The group, led by Texas activist Maria Espinoza, does this in part by offering a listening ear to grieving families, although some families have said that the group’s material help has come up short. After Donald Trump took the Remembrance Project on the campaign trail with him, a number of families who had been associated with it said that they felt “used, abused and exploited” by the organization. You know, we’re going to have to look and see how many DACA recipients cause this wall. They’re not all valedictorians, right? Former Paul Ryan challenger Paul Nehlen also spoke at the luncheon, where he jumped on the bandwagon of criticizing the visa lottery program that allowed the alleged perpetrator of the recent terrorist attack in New York to immigrate, saying that the program was “playing Russian roulette with our families.” Nehlen and his wife were listed as sponsors on the event’s program. The activists had heard at a closed-door meeting earlier in the week from Rep. Steve King and from Kansas secretary of state and Trump “election integrity” commissioner Kris Kobach, who told them, according to a Breitbart report, not to pay attention to studies showing lower crime rates among immigrants because “criminality is off the charts” among undocumented people. After Saturday’s luncheon, Bannon and his admirers cleared out (he had brought Breitbart editor Raheem Kassam with him, among others), and a much smaller remaining group, including the handful of grieving families whom Espinoza had brought in, moved to separate conference room. Disclosure: Right Wing Watch is a project of People For the American Way, which is supporting Gillespie’s opponent, Ralph Northam. Correction: An earlier version of this post misidentified one attendee as Breitbart editor Matt Boyle.